Yard Management: Find what you need. When you need it. Managing a vast laydown yard or construction site presents a number of challenges: What is my inventory count? Where is my specific inventory? Which truck is next at the dock? How long are drivers waiting to unload shipments? Challenges such as these are successfully addressed through an RFID-based Yard Management Solution. Omni-ID’s complete solution, with integrated hardware and software, enables construction, energy industry companies, retailers and others with large yards the ability to locate, track and record the maintenance and lifecycle of all the assets in a yard – faster, more accurately and with far less effort. Find location and history of equipment in inventory and the field. RFID tags stay with an asset throughout its life whereas barcodes wear off. One of the greatest opportunities for increasing operational efficiencies is the movement of shipping trucks from the gate to dock door. Too often this process is conducted manually resulting in errors, misplaced vehicles and workers sitting around waiting for instructions. Valuable man hours are wasted by yard jockeys scouring a yard for haulers or drivers arriving at the yard being forced to wait hours before the dock door opens. RFID is an ideal solution for tracking the movement and location of transport haulers across multiple yards and project sites. Through active and passive RFID, such as Omni-ID’s Power 400/415 tag, yard management becomes an automated process providing managers dynamic control over shipments and inventories. RFID tagged vehicles deliver valuable information to your management systems such as their contents as they arrive on the yard, time of arrival and location on the yard enabling the prioritization and initiation of their moves creating a more efficient and productive yard. Ed Nabrotzky discusses the deployment of successful RFID solutions in harsh environments using the knowledge gained through extensive field application experience. 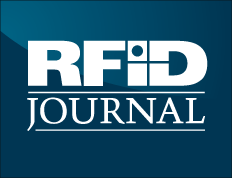 Utilizing award-winning passive and active RFID solutions enables enterprises to better manage, maintain, and track their assets for daily and strategic business management decisions. RFID is the most cost-effective of the IoT-enabled assets providing you with real-time visibility into asset performance and allowing you to effectively manage the entire asset lifecycle. RFID will alert you when tools have been removed from the job site or a tractor-trailer has entered the yard. From the moment an asset enters your facility to the moment it is retired or placed into production, you have a precise, real-time trail of the condition, location and current value of each asset. This allows you to focus on delivering operational and financial efficiencies that manual tracking cannot provide. Innovative High Temperature tags are setting the bar for the smallest size tags with the highest temperature survivability of 225°C. We ensure that you have the tools necessary to simply track, trace, inventory and report with a complete Enterprise Asset Management solution. We understand that re-architecting your current system or changing your business process is costly and time consuming. IoT- based enterprise asset management software can be run as either a stand-alone system or used as separable modules that can directly connect to your existing systems to enhance the value of your WMS, TMS and/or ERP. The inventory and reporting system can be implemented as a simple overlay to your existing infrastructure. The construction site manager’s daily tasks are the ordering, receiving, handling and distribution of raw materials, tools, and labor. We’ll help you automate these tasks providing you with timely and accurate inventory, location and usage data to more effectively manage your site. 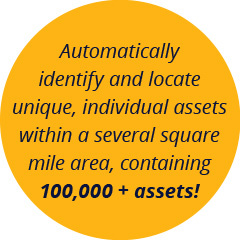 Omni-ID has extensive experience helping companies manage assets both on and off shore. Visit our Energy page to learn more.